Posted on Tuesday, November 15th, 2011 at 19:55. 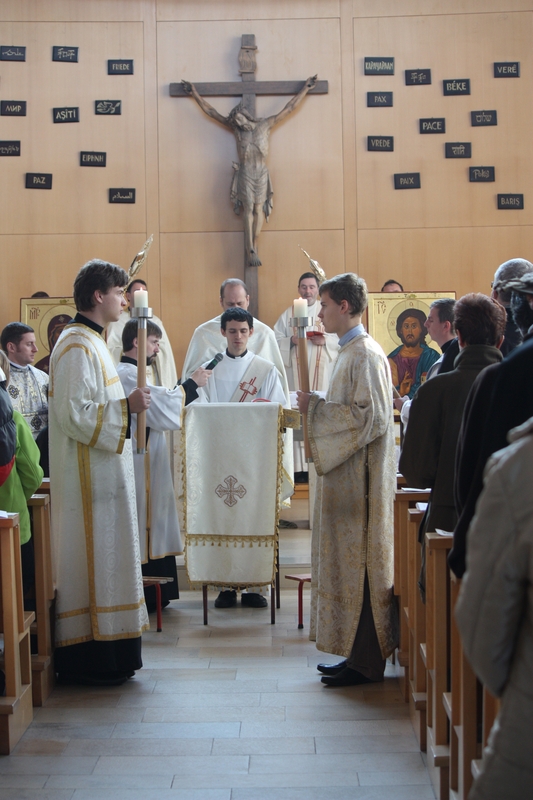 13 Nov 2011 – ITI graduate Deacon Joseph Bolin invited the ITI Center of Eastern Christian Studies (ECS) to celebrate Divine Liturgy (Byzantine Rite Mass) at the parish he serves in Vienna, Sts. Cyril and Methodius. 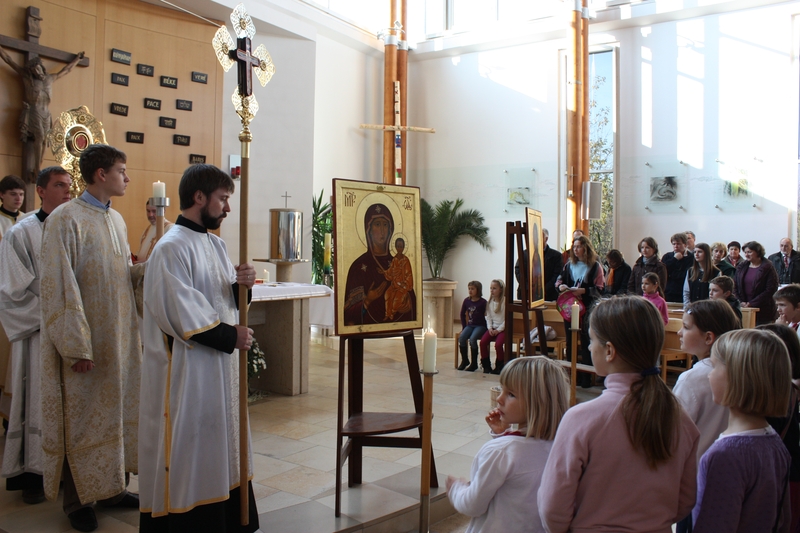 Deacon Joseph’s idea to invite the ECS coincided perfectly with the Pope’s intention for the month of November. Father Joseph Veresh, ECS Director, gave an introduction about the Divine Liturgy and explained that during and through the celebration, time stops and we experience Heaven on earth. 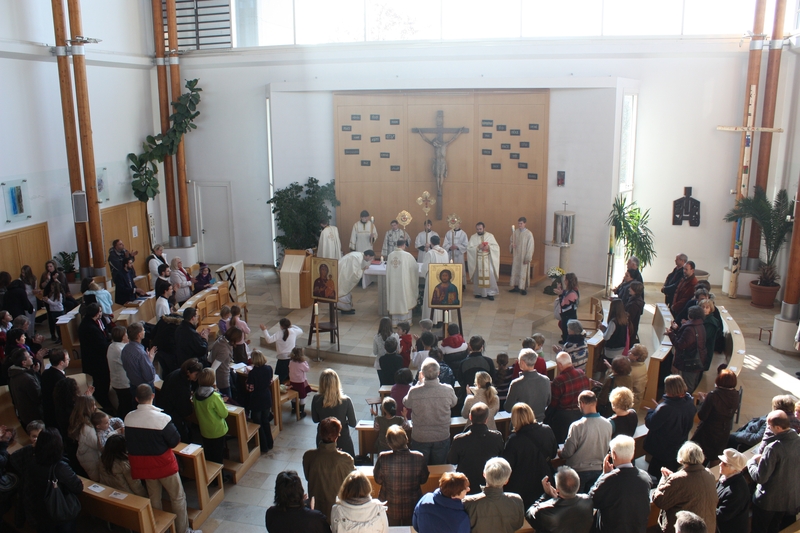 The Liturgy was enthusiastically attended by 300 parishioners – most of whom were seeing a Byzantine Liturgy for the first time in their lives.